Drywall installers typically use hand trowels to mud joints, but a taping knife can also be used. A drywall installer will tape, mud, and sand the joints where drywall sheets meet. 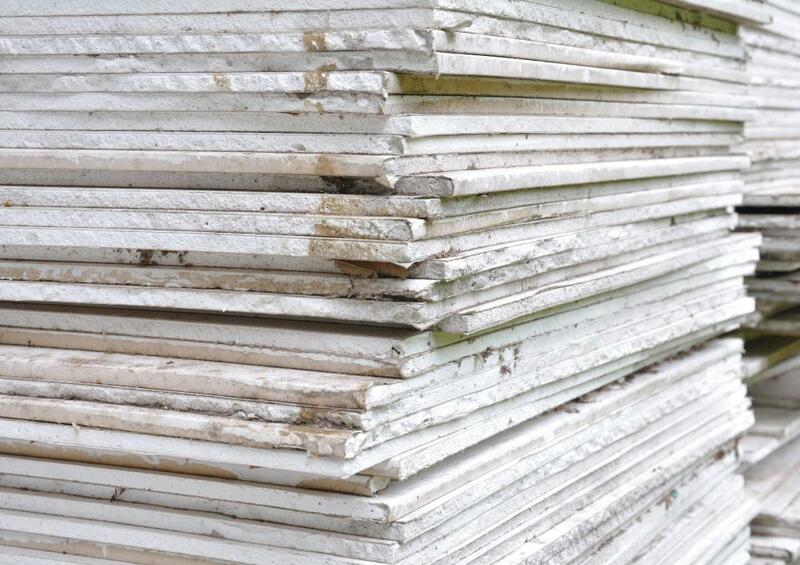 Drywall is a construction material made from hardened layers of gypsum and water sandwiched between sheets of paper. Drywall installers use this product to construct walls and ceilings, and may perform other building tasks as well, such as door and hardware installation. A drywall installer may work in the commercial or residential industry, either for a subcontractor or a general construction company. To understand what a drywall installer does, you must first understand the installation process itself. First, the walls are framed using metal or wood studs, which are laid out in accordance with the project plans. Next, the drywall installers must cut the sheets of drywall to fit the space, and holes must be cut to accommodate pipes and mechanical equipment. Finally, the sheets of drywall are fastened to the studs in a process called hanging. Generally, this entire process of framing and hanging is performed by the same group of installers. After the material has been hung, it must be finished. Finishing includes mudding, taping, and sanding the sheets of drywall to prepare them for painting. 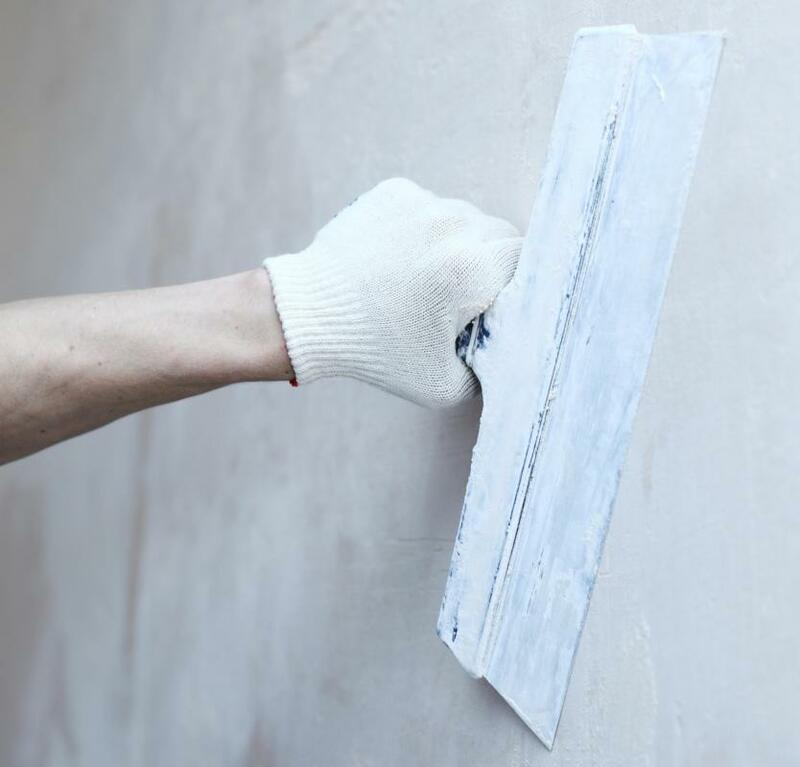 It takes a bit of skill and experience to properly finish a wall, so this process is usually performed by a different type of drywall installer known as a finisher. The finisher uses joint compound, or spackle to cover the seams in the drywall, as well as any imperfections. He or she will apply several coats of spackle, with layers of drywall tape in between. Each layer is sanded to create a smooth and even surface. Typically, the drywall installer on a project is also responsible for ceiling installation. A drywall ceiling is hung and finished in the same as the walls, with hanging and finishing taking place in stages. Drywall installers also install grid ceilings and acoustical tiles. Any type of drywall installer can perform this work, though framers and hangers will generally perform the bulk of ceiling work while finishers focus on finishing-related tasks. Those looking to find a drywall installer job should start building skills that will help in this trade. The ability to read building plans is critical for drywall workers, as are basic math skills. Many vocational schools offer training programs in this field, or applicants may choose an apprenticeship program that will offer progressive training and experience. 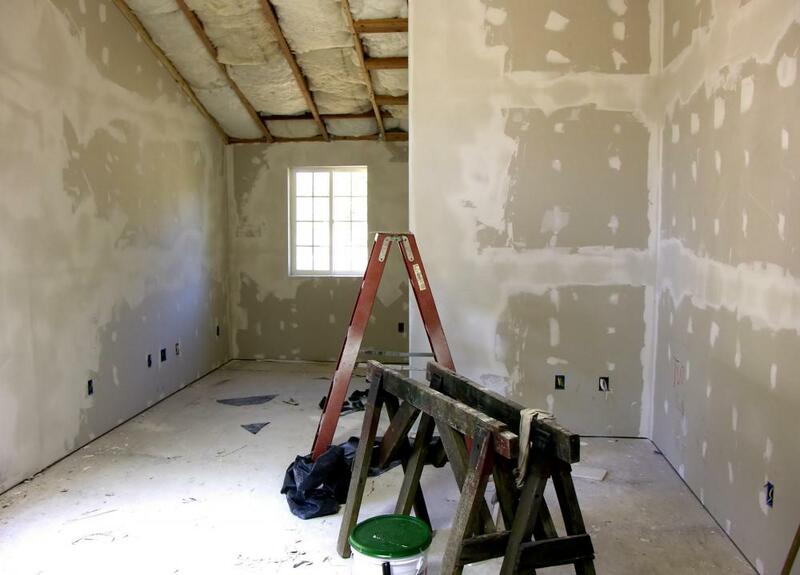 A drywall installer must also be prepared for the working conditions he or she will face on a construction site. Like all construction employees, drywallers are exposed to loud noises, dangers from nearby equipment, and a full day of physical labor. The drywall installer must also be aware of the fall hazards associated with lifts and stilts, which are used when installing ceilings and high walls. What Does a Residential Installer Do? What is Drywall Corner Bead? What is a Drywall Jack? What are the Best Tips for Drywall Finishing?